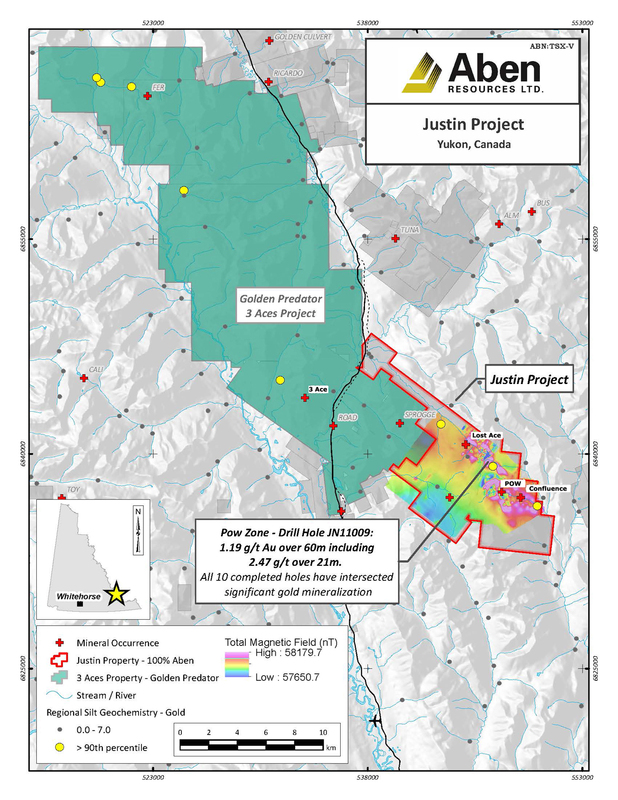 Vancouver, BC - Aben Resources Ltd. (TSX-V: ABN) (OTCQB: ABNAF) (Frankfurt: E2L2) (the “Company”) is pleased to provide a summary of exploration results from the 2018 exploration program on their 100% owned Justin Gold Project in the Yukon Territory. Work completed in 2018 included the collection of 19 channel and 28 chip samples from 5 trenches, 16 rock samples, 7 till samples and 240 soil samples with coverage totaling 6.0 line-km. The 2018 field program focused primarily on the Lost Ace Zone, a gold bearing zone discovered in 2017. 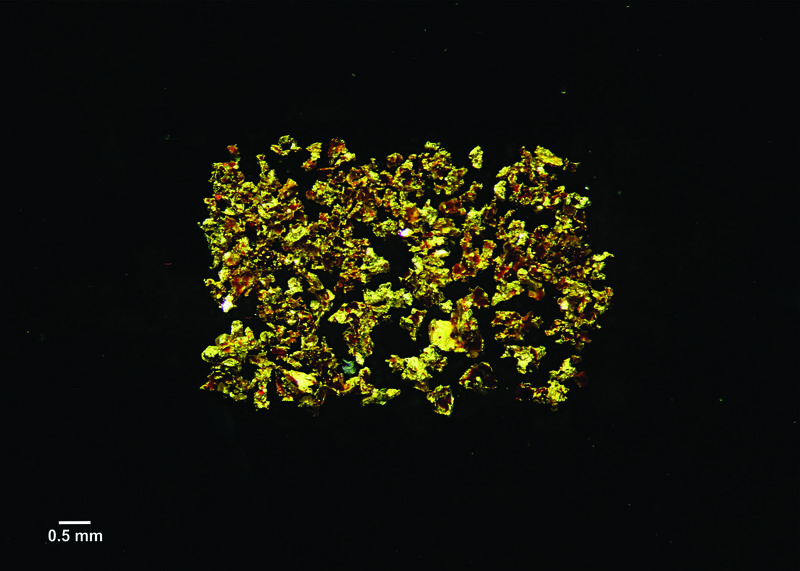 Lost Ace is located 2 kilometers west of Aben’s POW Zone where past drill results indicate potential for bulk-tonnage gold mineralization with intercepts reported ranging from trace values to highs of 1.19 g/t Au over 60.0 m (including 2.47 g/t Au over 21.0 m) and 1.49 g/t Au over 46.4 m.